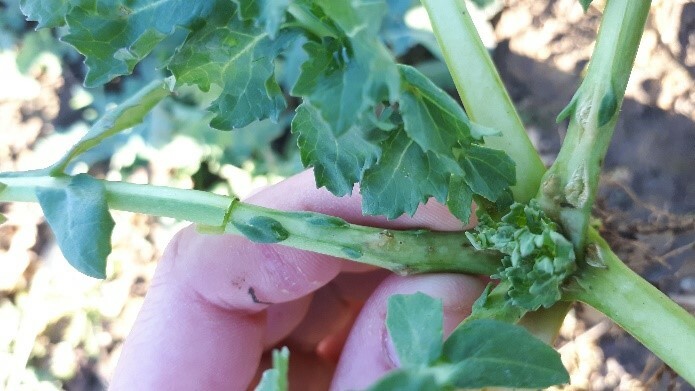 Has the dry, mild winter fuelled a build-up of key diseases in winter crops? Joe Bagshaw, Syngenta Trialist, provides a post-Christmas update from our Oxford Innovation Centre; believing crops are generally looking well. Although OSR crop has had a difficult time trial plots are looking good with assessable levels of CSFB larvae in the spring. The crop is still quite small but establishment is looking even across the trial. Sadly, the same can’t be said for the rest of the field which has been hit hard by pigeons. Phoma has also been sighted in the plots. It is too late to control this effectively now, and the focus will switch to Light Leaf Spot and canopy management with TOPREX as we approach spring. BBCH16-19, next spray timing for CSFB larvae is start of stem elongation (BBCH30). Untreated plots plants carrying average of 7-8 lavae per plant. Wheat plots drilled 10th October 2018, are now at GS24/25 and have established well. All varieties are experiencing very similar disease growth, including some degree of Septoria and Mildew, but surprisingly for this location, no Yellow Rust has been seen yet. Low levels of black-grass are present and there are some good differences in broad leaved weed populations between treatments. 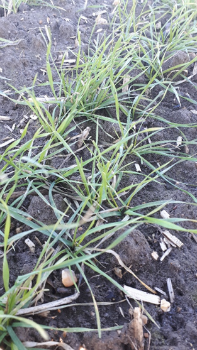 A preventative approach is key to keeping disease at bay and should be tailored to your variety disease rating, drilling date and location to protect your yield and grain quality. Consider using Amistar Opti at T0 (GS30-31) which contains both Chlorothalonil, a multi-site fungicide which helps with resistance management, and Azoxystrobin to help provide protection against yellow rust until your T1 spray. Amistar will also help mitigate against the effects of Take All in second wheats. The Syngenta Innovation Centres are specialist sites spread throughout the UK, with technical field experts trialling conditions, varieties, treatments and techniques to provide advice for agronomists and farmers. Come along to one of our open days to learn more about their research, and how it can benefit your crops.